From Contrarian Outlook: If you’ve held off on bank stocks for the last few months, I have good and bad news for you. Next, let’s take a peek at the banks’ price-to-earnings ratios. 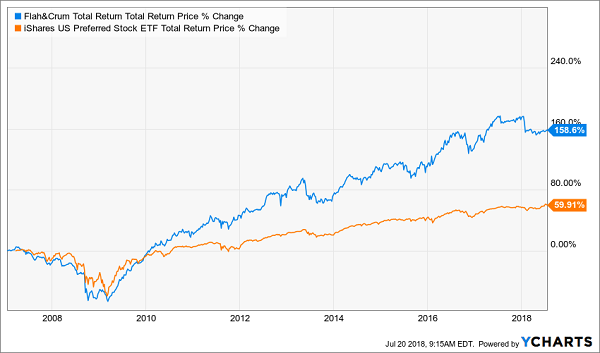 But we’re not interested in past profits; the forward P/E–or the multiple to projected earnings–is more useful. The other thing we see right away: FLC’s 7.4% dividend, which drops into your account monthly–just as your bills come in–instead of quarterly. That’s a nice added bonus that doesn’t exist in “regular” bank stocks. 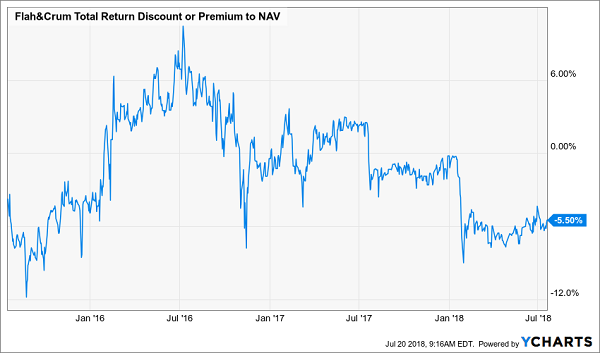 And if it goes to a 2.4% premium (its highest level in a year and still well short of its all-time peak of 8.4%), that gain jumps to 9.1%–in addition to FLC’s 7.4% dividend. The truth is, there are safe 7%+ yields in just about every sector you can imagine–real estate, health care, infrastructure, you name it. That’s because it takes just a little more research to find these hidden gems, and the shooters on Wall Street would rather stick to the popular names of the S&P 500–or blather on about the latest Apple (AAPL) iPhone sales, or how many cars Tesla (TSLA) is cranking out these days. This is exactly why I assembled my 8% “No-Withdrawal” retirement portfolio. 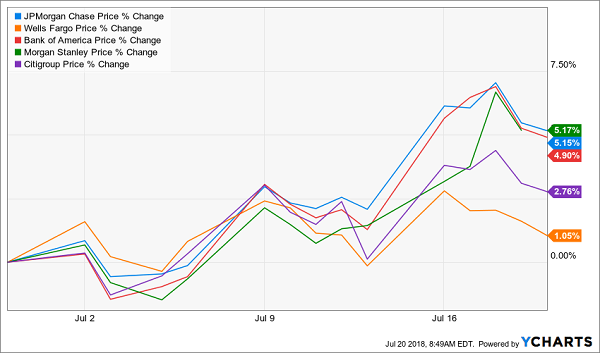 It’s a batch of 6 investments from across the market–real estate investment trusts (REITs), CEFs, preferred shares and more. 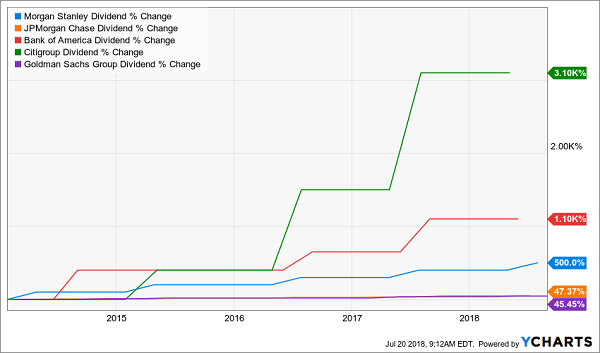 As the name suggests, these 6 buys give you a safe (and growing) 8% dividend. That lets you lock in a solid $40,000 income stream on a $500k nest egg–enough for many folks across the US to clock out of the workforce and live without having to sell a single stock in retirement. The Financial Select Sector SPDR Fund (XLF) closed at $27.56 on Friday, up $0.05 (+0.18%). 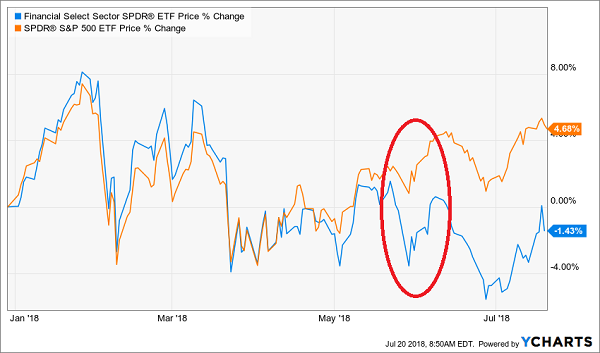 Year-to-date, XLF has declined -0.89%, versus a 5.22% rise in the benchmark S&P 500 index during the same period.